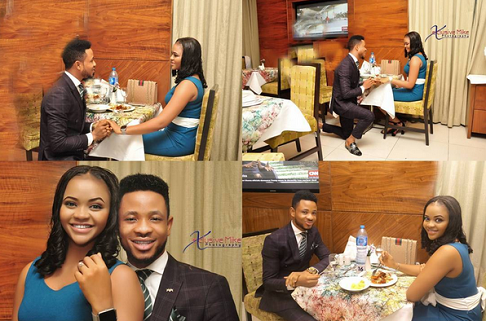 Beauty queen, Ijeoma Okafor Maryann is engaged. She got engaged to her longtime pastor fiance, Julius Ekweozor, who is the General Overseer Of Charismatic Restoration City. Big congrats to them.